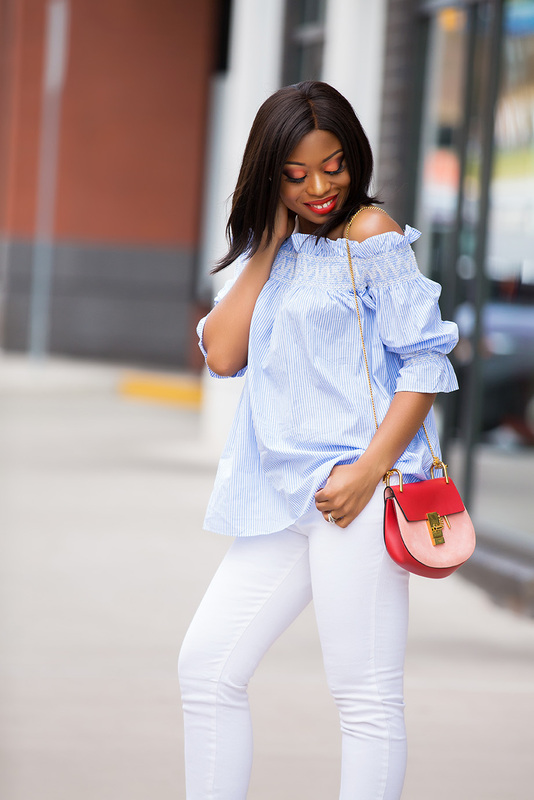 I am enjoying the spring warm weather and I am so excited to style my growing bump. While some outfit pieces might change slightly, my style will remain the same. 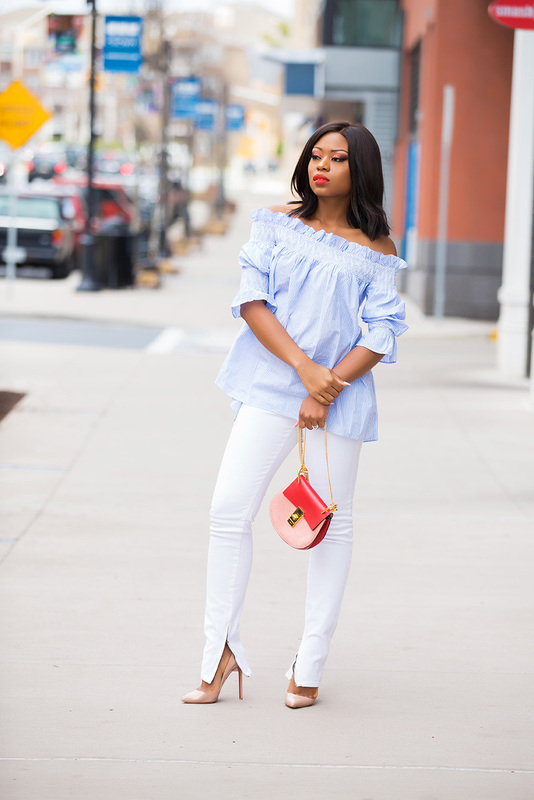 I will continue to wear outfits that are not limited to expecting mums for example, Off shoulder tops remain must haves for spring and summer! This stripe off shoulder tunic is on sale for less than $45. The "flowy" feel makes it perfect for my bump. 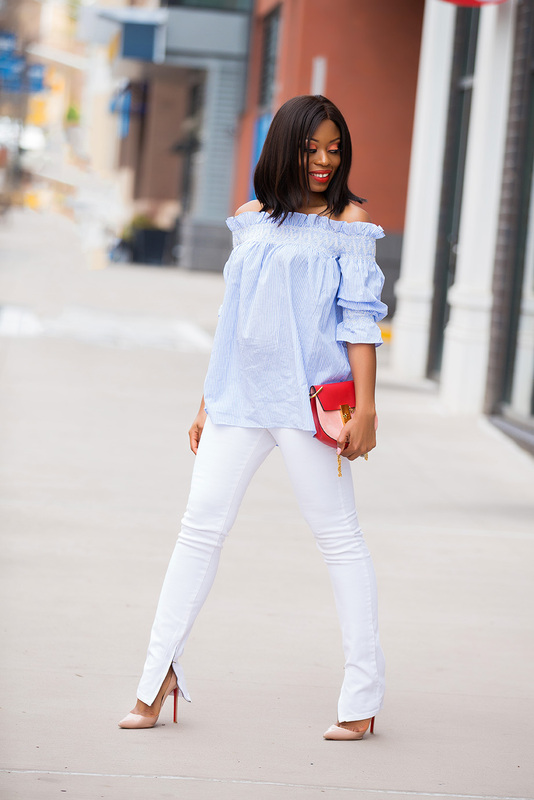 I love the ruffle trimmed elastic shoulder and puffy sleeves. It is light and airy for spring/summer. 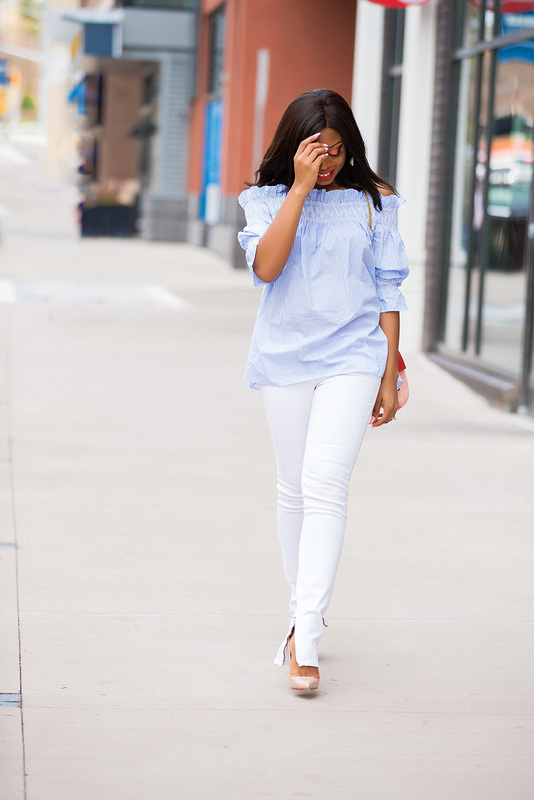 White denim is another piece that I am loving right now. It is a great fresh take to the season. 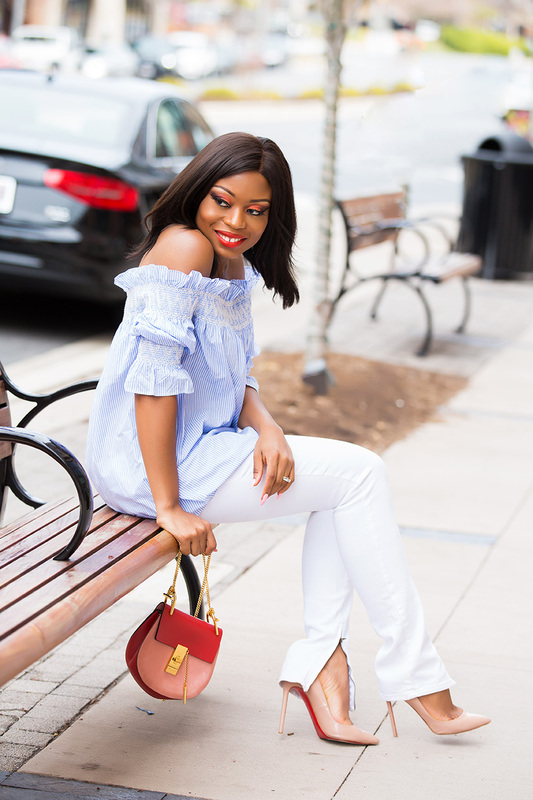 The combination of the light blue off shoulder and white jeans adds a fresh start to my Easter weekend. Have a great Easter weekend! P.S. Last day to shop 25% off at Shopbop. So, so Fabulous. I can't wait to see how you dress your bump in the months ahead. CONGRATS!! Loving how clean and fresh this look is!